The Union General de Trabajadores (UGT) was originally established in Madrid by a group of printers led by Pablo Iglesias. Aligned with the Socialist Party the UGT published a newspaper called El Socialista where Iglesias advocated a programme of socialism, trade unionism and republicanism. The more radical National Confederation of Trabajo (CNT) was established in 1911 and eventually took over from the UGT as the largest union in Spain. The first Russian Revolution inspired the UGT and CNT to cooperate in a General Strike in Spain in August 1917. After Lenin gained power in Russia the UGT refused to join the Comintern or a united front with the CNT. The UGT was opposed to the dictatorship of Miguel Primo de Rivera, but was willing to do deals with the regime and was eventually rewarded with a cabinet seat. Whereas the more militant National Confederation of Trabajo (CNT) became an illegal organization. During this period Francisco Largo Caballero, Julián Besteiro, Indalecio Prieto and Luis Araquistain emerged as leaders of the UGT. The UGT grew in influence after the fall of Alfonso XIII and the establishment of the Second Republic. However, the UGT's policy of trusting the government to mediate in labour disputes was unpopular with its more militant members. The election of a right-wing government in 1933 brought an end to UGT's cooperation. The relationship deteriorated when the the new government decided to overturn previous measures such as socialist controlled labour exchanges and laws prohibiting strike-breaking. This led to an insurrection of Asturian miners in 1934 that was put down by General Francisco Franco and the Spanish Legion. On 15th January 1936, Manuel Azaña helped to establish a coalition of parties on the political left to fight the national elections due to take place the following month. This included the Socialist Party (PSOE), Communist Party (PCE), Esquerra Party and the Republican Union Party. The UGT supported the Popular Front, as the coalition became known, and its policies of advocating the restoration of Catalan autonomy, amnesty for political prisoners, agrarian reform, an end to political blacklists and the payment of damages for property owners who suffered during the revolt of 1934. Right-wing groups in Spain formed the National Front. 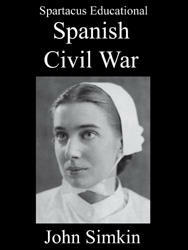 This included the CEDA and the Carlists. 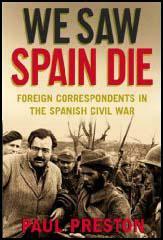 The Falange Española did not officially join but most of its members supported the aims of the National Front. The Spanish people voted on Sunday, 16th February, 1936. Out of a possible 13.5 million voters, over 9,870,000 participated in the 1936 General Election. 4,654,116 people (34.3) voted for the Popular Front, whereas the National Front obtained 4,503,505 (33.2) and the centre parties got 526,615 (5.4). The Popular Front, with 263 seats out of the 473 in the Cortes formed the new government. The Popular Front government immediately upset the conservatives by releasing all left-wing political prisoners. The government also introduced agrarian reforms that penalized the landed aristocracy. Other measures included transferring right-wing military leaders such as Francisco Franco to posts outside Spain, outlawing the Falange Española and granting Catalonia political and administrative autonomy. Membership of a union now became mandatory and the UGT and the CNT grew rapidly. As a result of these measures the wealthy took vast sums of capital out of the country. This created an economic crisis and the value of the peseta declined which damaged trade and tourism. With prices rising workers demanded higher wages. This led to a series of strikes in Spain. On the 10th May 1936 the conservative Niceto Alcala Zamora was ousted as president and replaced by the left-wing Manuel Azaña. Soon afterwards Spanish Army officers, including Emilio Mola, Francisco Franco, Gonzalo Queipo de Llano and José Sanjurjo, began plotting to overthrow the Popular Front government. 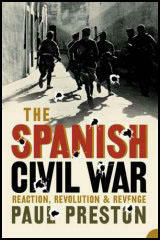 This resulted in the outbreak of the Spanish Civil War on 17th July, 1936. President Manuel Azaña appointed Diego Martinez Barrio as prime minister on 18th July 1936 and asked him to negotiate with the rebels. He contacted Emilio Mola and offered him the post of Minister of War in his government. He refused and when Azaña realized that the Nationalists were unwilling to compromise, he sacked Martinez Barrio and replaced him with José Giral. To protect the Popular Front government, Giral gave orders for arms to be distributed to left-wing organizations that opposed the military uprising. Large numbers of UGT members joined the Republican Army and in September 1936, its leader, Francisco Largo Caballero, became prime minister of the Popular Front government. Largo Caballero tried to bring the UGT and CNT closer together by appointing four anarchists to his cabinet: Juan Garcia Oliver (Justice), Juan López Sánchez (Commerce), Federica Montseny (Health) and Juan Peiró (Industry). The conflict between anarchists, socialists and communists continued and as a result of the May Riots in 1937 Largo Caballero resigned and was replaced by Juan Negrin. The new prime minister was less sympathetic to the unions and the power of the UGT and the CNT declined under his administration. This brought the two unions closer together and its leaders were involved in plotting Negrin's overthrow during the final stages of the Spanish Civil War. I spoke with Garcia Oliver. He was also in a frenzied state. Intransigent. At the same time that Lopez, the leader of the Madrid syndicalists, was declaring to me that they had not permitted and would not permit attacks on the Soviet Union in the CNT newspaper, Oliver declared that they had said that they were "criticizing" the Soviet Union because it was not an ally, since it had signed the non-interference pact, and so on. Durruti, who has been at the front, has learned a lot, whereas Oliver, in Barcelona, is still nine-tenths anarchist ravings. For instance, he is against a unified command on the Aragon front; a unified command is necessary only when a general offensive begins. Sandino, who was present during this part of the conversation, spoke out for a unified command. They touched on the question of mobilization and the transformation of the militia into an army. Durruti made much of the mobilization plans (I do not know why - there are volunteers but no guns). Oliver said that he agreed with Durruti, since "Communists and Socialists are hiding themselves in the rear and pushing the FAI-ists out of the cities and villages." At this point he was almost raving. I would not have been surprised if he had shot me. I spoke with Trueba, the PSUC (Communist) political commissar. He complained about the FAI-ists. They are not giving our men ammunition. We have only thirty-six bullets left per man. The anarchists have reserves of a million and a half. Colonel Villalba's soldiers only have a hundred cartridges each. He cited many instances of the petty tyrannies of FAI. People from the CNT complained to me that Fronsosa, the leader of PSUC, gave a speech at a demonstration in San Boi in which he said that the Catalans should not be given even one gun, since the guns would just fall into the hands of the anarchists. In general, during the ten days that I was in Catalonia, relations between Madrid and the generalitat on the one hand, and that between the Communists and the anarchists on the other, became very much more strained. Companys is wavering; either he gravitates toward the anarchists, who have agreed to recognize the national and even nationalistic demands of the Esquerra, or he depends on the PSUC in the struggle against FAI. His circle is divided between supporters of the former and of the latter solutions. If the situation on the Talavera front worsens, we can expect him to come out on one or the other side. We must improve relations between the PSUC and the CNT and then try to get closer to Companys. The relationship between our people (the Communists) and the anarcho-syndicalists is becoming ever more strained. Every day, delegates and individual comrades appear before the CC of the Unified Socialist Party with statements about the excesses of the anarchists. In places it has come to armed clashes. Not long ago in a settlement of Huesca near Barbastro twenty-five members of the UGT were killed by the anarchists in a surprise attack provoked by unknown reasons. In Molins de Rei, workers in a textile factory stopped work, protesting against arbitrary dismissals. Their delegation to Barcelona was driven out of the train, but all the same fifty workers forced their way to Barcelona with complaints for the central government, but now they are afraid to return, anticipating the anarchists' revenge. In Pueblo Nuevo near Barcelona, the anarchists have placed an armed man at the doors of each of the food stores, and if you do not have a food coupon from the CNT, then you cannot buy anything. The entire population of this small town is highly excited. They are shooting up to fifty people a day in Barcelona. (Miravitlles told me that they were not shooting more than four a day). Relations with the Union of Transport Workers are strained. At the beginning of 1934 there was a protracted strike by the transport workers. The government and the "Esquerra" smashed the strike. In July of this year, on the pretext of revenge against the scabs, the CNT killed more than eighty men, UGT members, but not one Communist among them. They killed not only actual scabs but also honest revolutionaries. At the head of the union is Comvin, who has been to the USSR, but on his return he came out against us. Both he and, especially, the other leader of the union - Cargo - appear to be provocateurs. The CNT, because of competition with the hugely growing UGT, are recruiting members without any verification. They have taken especially many lumpen from the port area of Barrio Chino. They have offered our people two posts in the new government - Council of Labour and the Council of Municipal Work - but it is impossible for the Council of Labour to institute control over the factories and mills without clashing sharply with the CNT, and as for municipal services, one must clash with the Union of Transport Workers, which is in the hands of the CNT. Fabregas, the councillor for the economy, is a "highly doubtful sort." Before he joined the Esquerra, he was in the Accion Popular; he left the Esquerra for the CNT and now is playing an obviously provocative role, attempting to "deepen the revolution" by any means. The metallurgical syndicate just began to put forward the slogan "family wages." The first "producer in the family" received 100 percent wages, for example seventy pesetas a week, the sec- ond member of the family 50 percent, the third 25 percent, the fourth, and so on, up to 10 percent. Children less than sixteen years old only 10 percent each, This system of wages is even worse than egalitarianism. It kills both production and the family. In Madrid there are up to fifty thousand construction workers. Caballero refused to mobilize all of them for building fortifications around Madrid ("and what will they eat") and gave a total of a thousand men for building the fortifications. In Estremadura our Comrade Deputy Cordon is fighting heroically. He could arm five thousand peasants but he has a detachment of only four thousand men total. Caballero under great pressure agreed to give Cordon two hundred rifles, as well. Meanwhile, from Estremadura, Franco could easily advance into the rear, toward Madrid. Caballero implemented an absolutely absurd compensation for the militia - ten pesetas a day, besides food and housing. Farm labourers in Spain earn a total of two pesetas a day and, feeling very good about the militia salary in the rear, do not want to go to the front. With that, egalitarianism was introduced. Only officer specialists receive a higher salary. A proposal made to Caballero to pay soldiers at the rear five pesetas and only soldiers at the front ten pesetas was turned down. Caballero is now disposed to put into effect the institution of political commissars, but in actual fact it is not being done. In fact, the political commissars introduced into the Fifth Regiment have been turned into commanders, for there are none of the latter. Caballero also supports the departure of the government from Madrid. After the capture of Toledo, this question was almost decided, but the anarchists were categorically against it, and our people proposed that the question be withdrawn as inopportune. Caballero stood up for the removal of the government to Cartagena. They proposed sounding out the possibility of basing the government in Barcelona. Two ministers - Prieto and Jimenez de Asua - left for talks with the Barcelona government. The Barcelona government agreed to give refuge to the central government. Caballero is sincere but is a prisoner to syndicalist habits and takes the statutes of the trade unions too literally. The UGT is now the strongest organization in Catalonia: it has no fewer than half the metallurgical workers and almost all the textile workers, municipal workers, service employees, bank employees. There are abundant links to the peasantry. But the CNT has much better cadres and has many weapons, which were seized in the first days (the anarchists sent to the front fewer than 60 percent of the thirty thousand rifles and three hundred machine guns that they seized).